President Tsai Ing-wen Sept. 3 called on European countries to support Taiwan in the face of China’s increased actions against the nation’s democracy, economy and international space. China’s rise is rapidly challenging the rules-based order that has sustained East Asia since the end of World War II, Tsai said. “A liberal democratic order can only survive if like-minded countries, including our European partners, work together for the greater good,” she added. The president made the remarks in a recorded speech delivered during a seminar at the European Parliament in Brussels. Organized by the European Federation of Taiwanese Associations, the forum was titled “China Factor: Resistance is Futile? — Taiwan as a Case Study” and attended by members of the EP and scholars. According to the president, China is forcing countries to choose sides as it promotes an alternative global order based on its needs and interests. 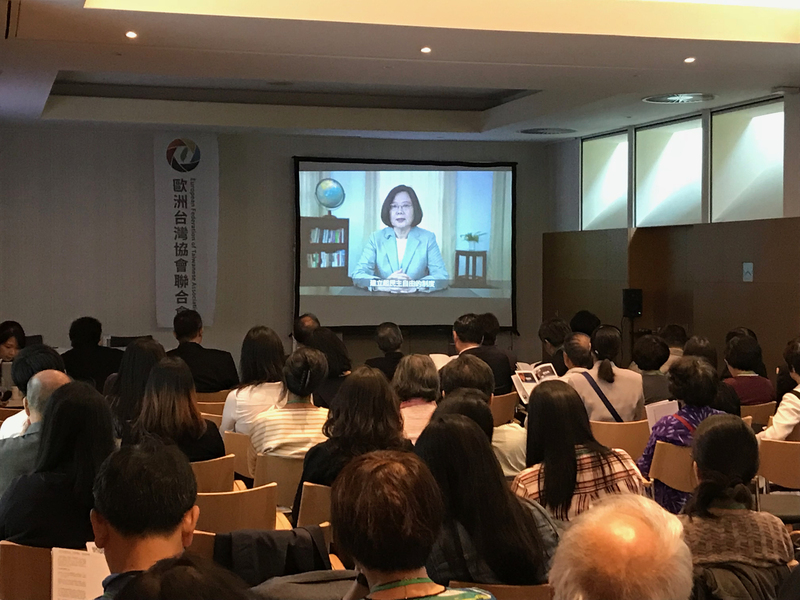 Though not alone in facing this situation, Taiwan is on the front-lines of Beijing’s efforts, she said, adding that the country remains resilient and determined to safeguard its democracy.